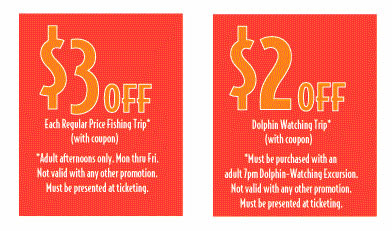 We hope you consider Dockside Seafood & Fishing Center for your next trip to Virginia Beach. 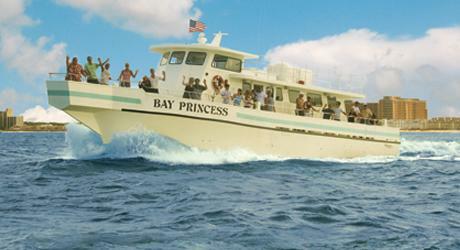 Family fishing charters, dolphin watching and bird watching are just a few of the amenities we can offer in our trips. People of any experience level will enjoy fishing with us. The avid angler can get some practice fishing in the Atlantic, while first timers will learn from our veteran guides. Equipment and bait are provided with all of our fishing trips. Bring the whole family as kids under the age of three are always free. The friendly crew and staff at Dockside Seafood & Fishing Center are always available to take your calls. Feel free to give us a call, and we are more than happy to answer any questions you may have or provide information you may need. Below are some directions to help guide you to our restaurant, seafood market and fishing center in Virginia Beach. We look forward to seeing you and sharing the Chesapeake Bay area. Please call us today and make a reservation. Since we cater to many first time anglers and cruisers, we would like to share some information before your arrival. 1. Our morning fishing trips last about 4 hours from start to finish and our afternoon trips last about 3 hours. our sunset dolphin watch cruise last about 1 1/2 hours. 2. Please wear soft soled shoes. No high heals or hard soled boots. 3. remember your sunscreen, hats and visors are also advisable. 4. A snack bar is available on board selling light snacks and beverages. We do not sell alcohol on board and do not allow hard liquor however, you may bring beer or wine as well as any other food items. 6. We pride ourselves in a clean boat and a courteous crew. Please use onboard trash receptacles or have your deckhands dispose of your trash. 7.Our deckhands will instruct everyone on proper use of the rods and reels as well as give tips for more productive fishing. They will show you how to bait your hooks on your own, but will be more than happy to bait them for you. they will take your fish off the hook and if you choose to keep them, will bag them upon your departure. 8.Deckhands will apprise you of all applicable fishing regulations. 9.There is usually a fish cleaner at the dock upon your arrival that will clean your catch for an additional charge. 10.For those of you who would like to sample your catch without bringing it home, visit our waterfront restaurant and seafood market. There for a nominal charge we will prepare it for you so that you may sit at a waterside table and enjoy the freshest catch of the day. 11. tipping: Although the fish don’t always co-operate, we will always strive to provide excellent service in a friendly atmosphere. Please remember that your deckhands are your waitstaff on the water and please tip accordingly. Hopefully, we have answered the most frequently asked questions, however, feel free to call us at (757)481-4545 for more information or to make reservations. Adult afternoons only. Mon thru Fri.
Not valid with any other promotion. Must be presented at ticketing. Must Be Purchased w/ An Adult Dolphin-Watching Excursion. Other specials and coupons are offered from time to time. Please check back often! As always, children under 3 are free on all of our trips.